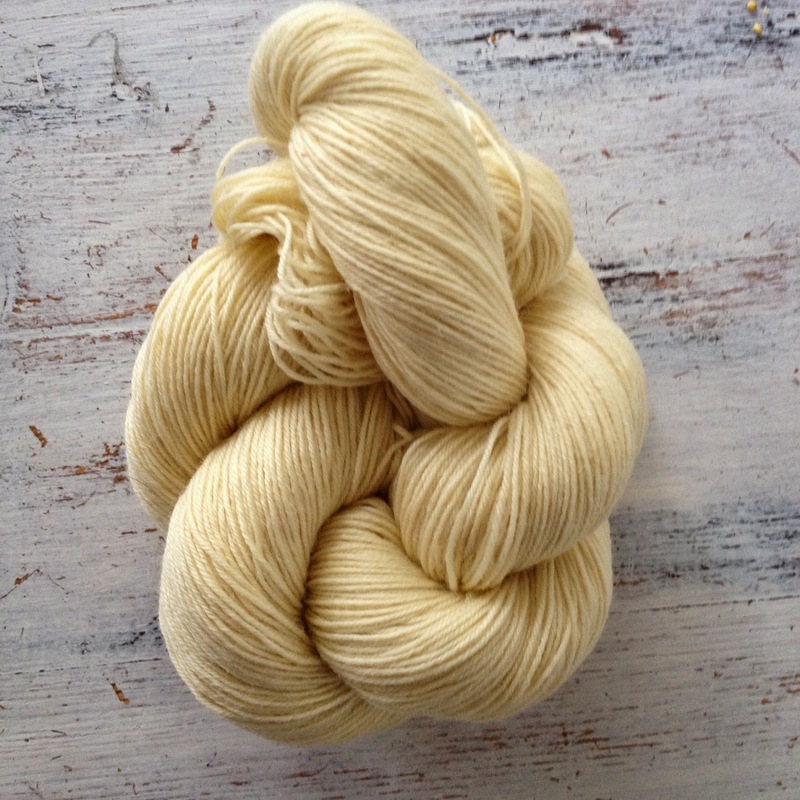 Fifty Shades of 4 Ply: Holland! I've just returned from a lovely break staying with a friend in Holland. Wow! We packed an awful lot into the week! As usual the time just seemed to fly by and it didn't seem like 2 minutes before I was heading home and back to reality. 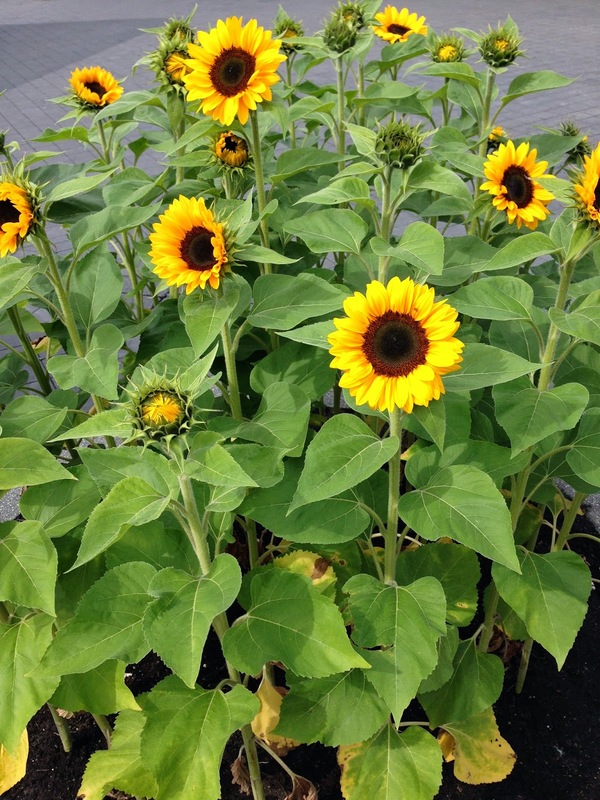 I love that even at the airport you get welcomed by smiling sunflowers! They had planters full of them outside the airport. How fabulous? We had lots planned for my visit. I know the idea of a break is to relax and take things easy, but we always seem to try and pack as much in as possible. But it's fun stuff so that doesn't count! Sometimes it's just nice to spend time with a like minded craft addict!!!! 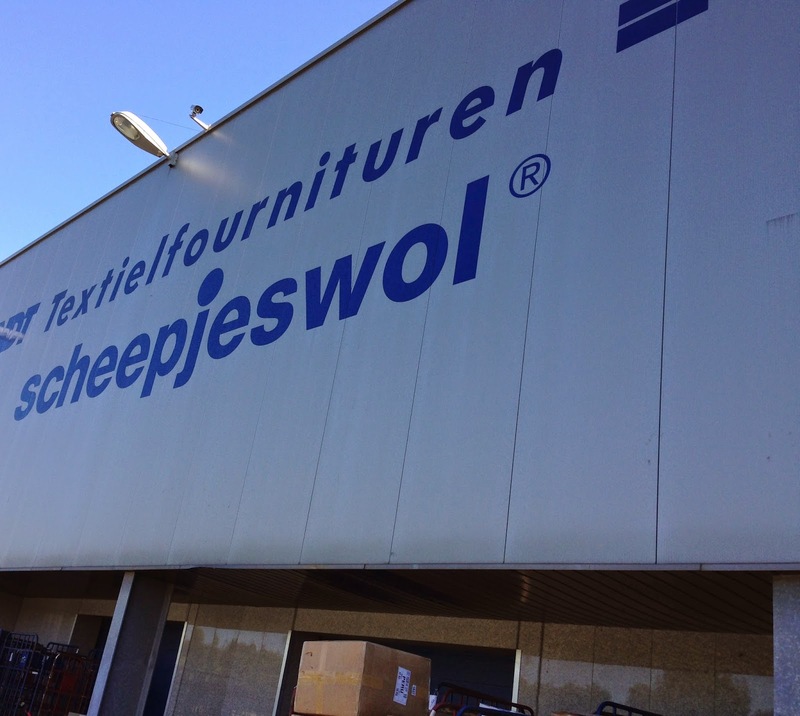 Next on the agenda was a trip to Scheepjeswol headquarters. I KNOW!!!! EEEEKS!!!! How exciting???? Oh my! It did not disappoint! Firstly I must tell you how friendly everyone was. Without exception everyone said hello and it really does have a lovely atmosphere. Like a happy family. Even though everyone was frantically busy they all stopped and said hello. Ok. I was like a kid in a sweet shop. 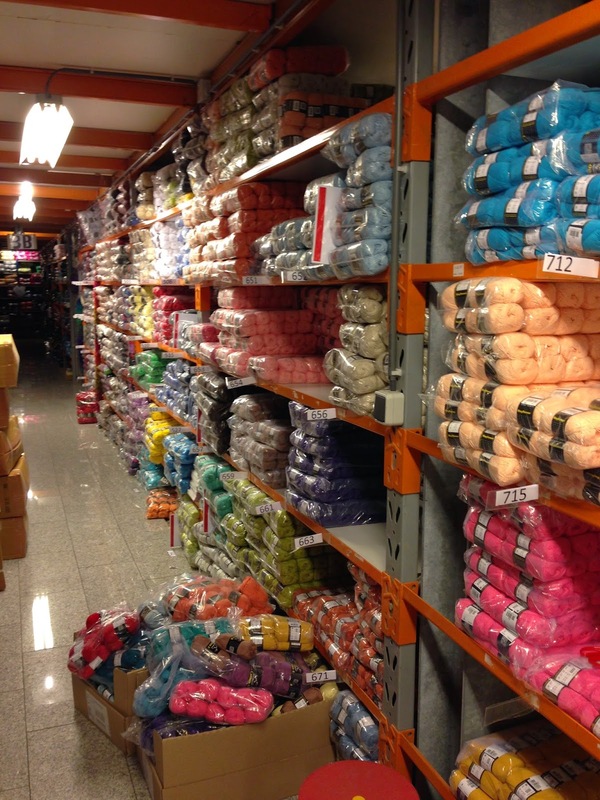 I mean how do you make a yarn addict happy? Exactly!!! I think I was hyperventilating and maybe drooling a bit when I wandered down the aisles! 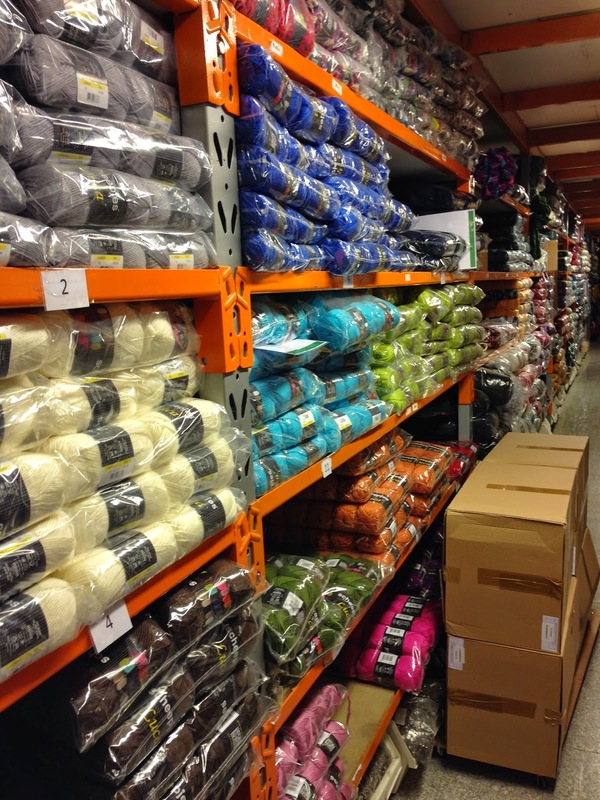 Ceiling to floor, jammed packed with delicious yarns! I was planning future projects! The new Invicta Colour stole my heart. I have to admit to having a bit of a headache by the time I left. 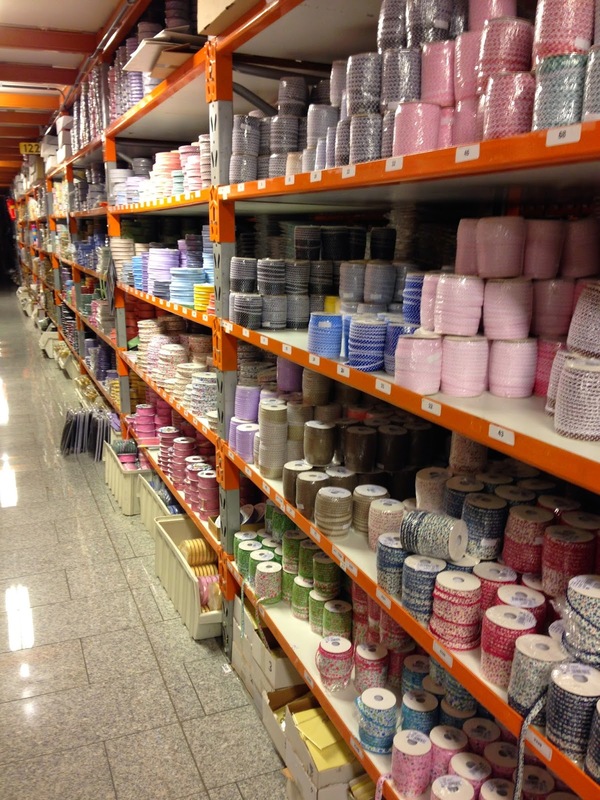 I was completely overwhelmed by the colours, choices, welcome etc. It was a very happy day! Do you think they would notice if I just set up camp down the bottom of the Cotton 8 aisle????? Because we like to jam a stack into the week, we have started a tradition of a Summer Project! 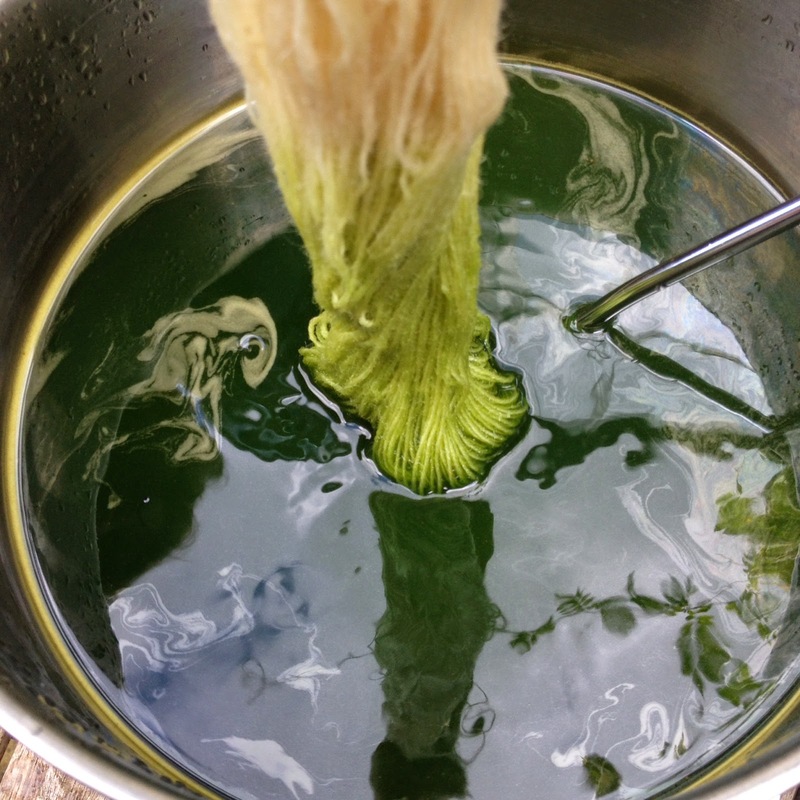 If you can remember that far back, last year we tried our hand at Natural Dyeing. Whilst we loved the finished results (a project still in the making!) we wanted to try something a little more predictable this year. 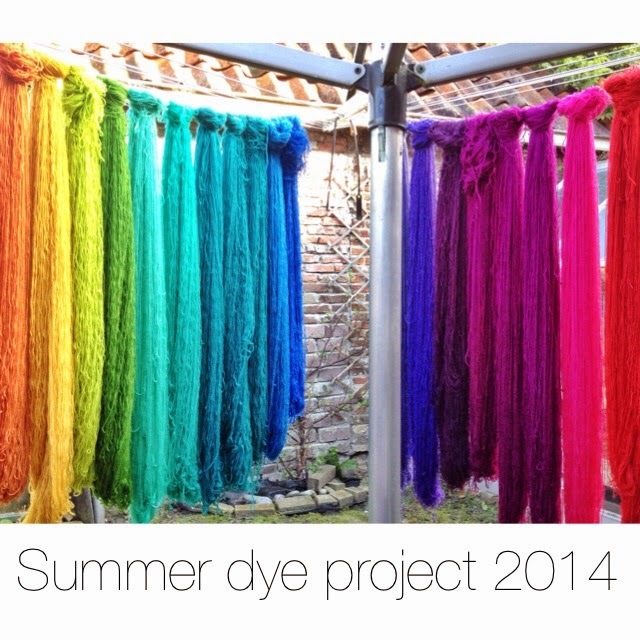 Cue Acid Dyes. Or to be more precise, self levelling acid dyes. 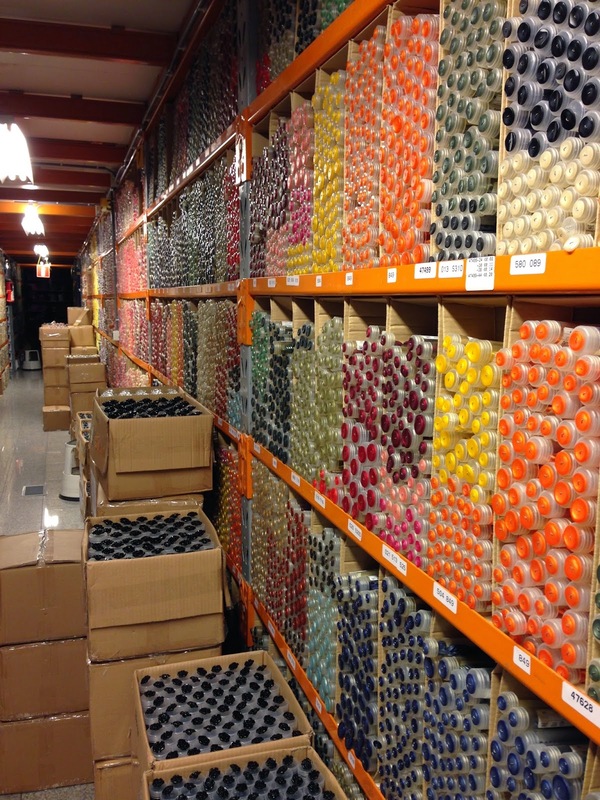 We did a little research and thought that the brand Landscape dyes might just fit the bill. We each have a Crafty Fund. A savings account that we pay a little into each month to fund our projects. It's a fab idea and also means that after a few months it soon starts to mount up! 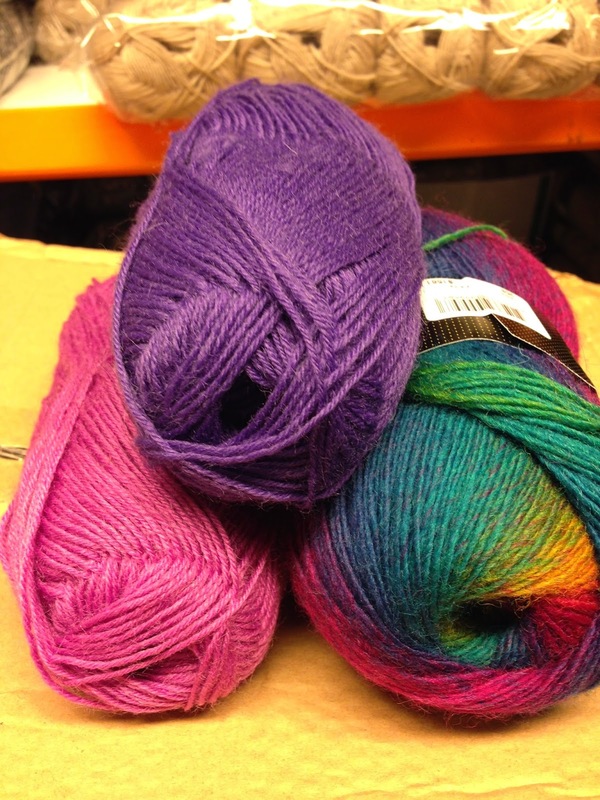 So along with a fair few dye colours, we also bought some gorgeous yarn. We decided on a 4 ply superwash Blue Faced Leicester. 1kg each! Enough to make a blanket and maybe a smaller project. Neither of us had ever used acid dyes before. But it wasn't a problem. The instructions were easy to follow and actually it was a pretty pain free process! 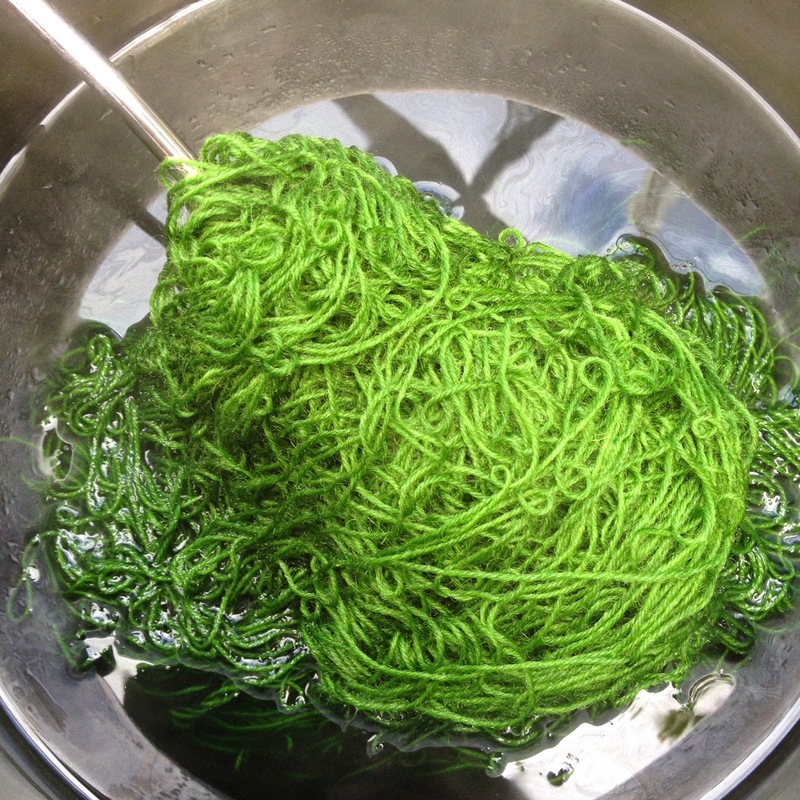 Add the dye to hot water, dissolve, add the yarn and simmer just below 100 degrees C for half an hour. And that's it! 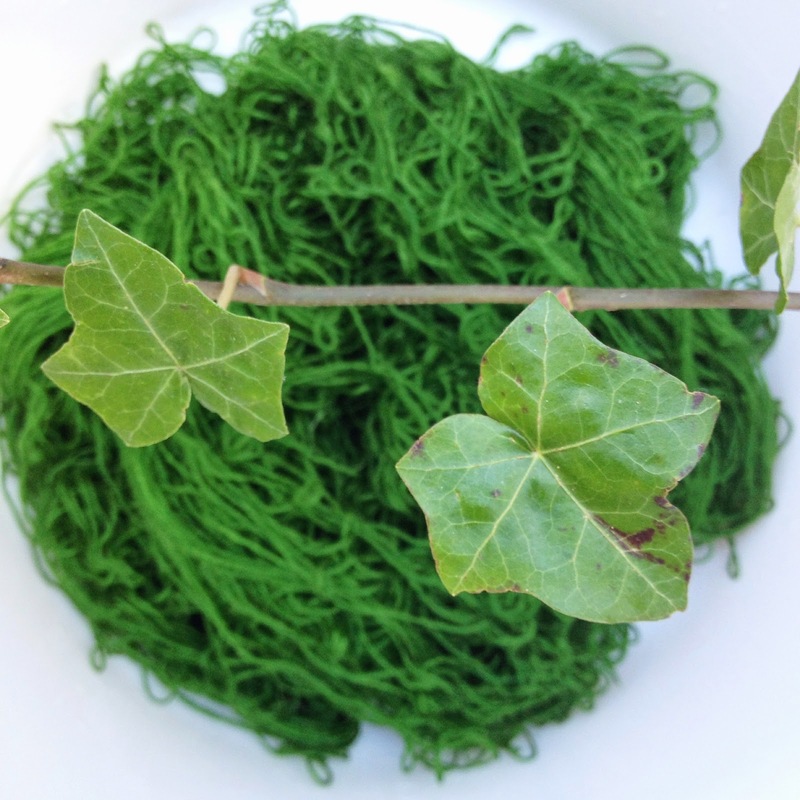 We did find that we didn't need quite as much dye as was recommended so adjusted the following batches. A rather nice rainbow selection of colours!!! We were delighted with the results and amazed at just how easy it all was. I think it's safe to say I'll be doing this again. Now I just need to find the time to make something with all this gorgeous yarn! I really need to win the lottery and become a lady of leisure!!! Join me next time when I have the Quilt Inspired Blanket tutorial to share! Lady a May is proper insulted that you refer to her as 'a dummy'! She's not impressed!! I think I top you on the weirdo front as I trudged through a field today wheeling a baby's crib (of the freaky doll kind) to photograph a baby blanket. I got several strange looks from dog walkers and the crib almost got pee'd on by a German shepherd! What an amazing place. 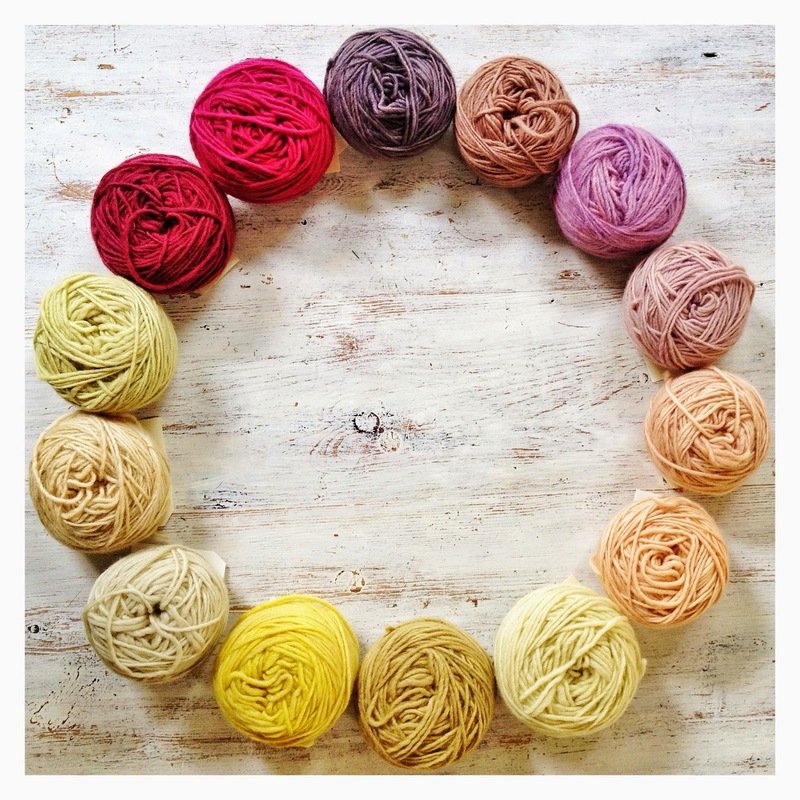 I love the colours you dyed the yarn, such a beautiful array of skeins.